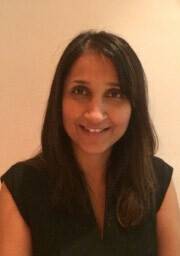 Dr Smeeta Sinha was appointed as a Consultant Nephrologist in May 2010 and was awarded her PhD Medicine from the University of Manchester in December 2010. Her PhD was entitled “The Effects of Bisphosphonates and modulation of protein prenylation on vascular calcification”. She also holds an honorary senior lecturer post at the University of Manchester. Dr Sinha’s research interests include chronic kidney disease-mineral bone disorder, in particular vascular calcification. She is the principle investigator for the UK Calciphylaxis Study. The study is a multi-centre (74 UK renal units) observational study developed in collaboration with European colleagues (International Calciphylaxis Collaborative Network). She also supports a number of other research studies within the department. H Eddington, R Hoefield, S Sinha, C Chrysochou, B Lane, RN Foley, J Hegarty, J New, DJ O'Donoghue, RJ Middleton, PA Kalra. Serum phosphate and mortality in patients with chronic kidney disease. Clin J Am Soc Nephrol. 2010;5(12):2251–7. JL Gallagher, S Sinha*, R Reeve, PA Kalra. Importance of checking anti-glomerular basement membrane antibody status in patients with anti-neutrophil cytoplasmic antibody-positive vasculitis. Postgrad Med J. 2008 Apr;84:220–222. S Sinha*, H Eddington & PA Kalra. Vascular calcification: lessons from scientific models Journal of Renal Care 2009; 35 Suppl 1:51–6. H Eddington, S Sinha, & PA Kalra. Vascular calcification in chronic kidney disease: a clinical review Journal of Renal Care 2009; 35 Suppl 1:45–50. C Chrysochou, S Sinha*, N Chalmers, PR Kalra, PA Kalra. Anuric acute renal failure and pulmonary oedema: a case for urgent action. Int J Cardiol. 2009;132:e31–3.